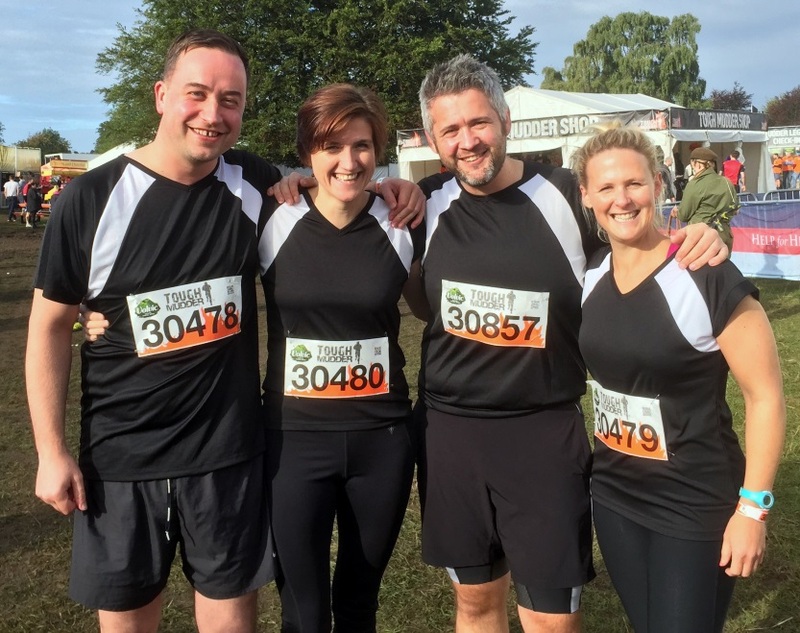 On Sunday 13th September, 4 daring or crazy souls, depending on your point of view, lined up for Tough Mudder North West 2015. 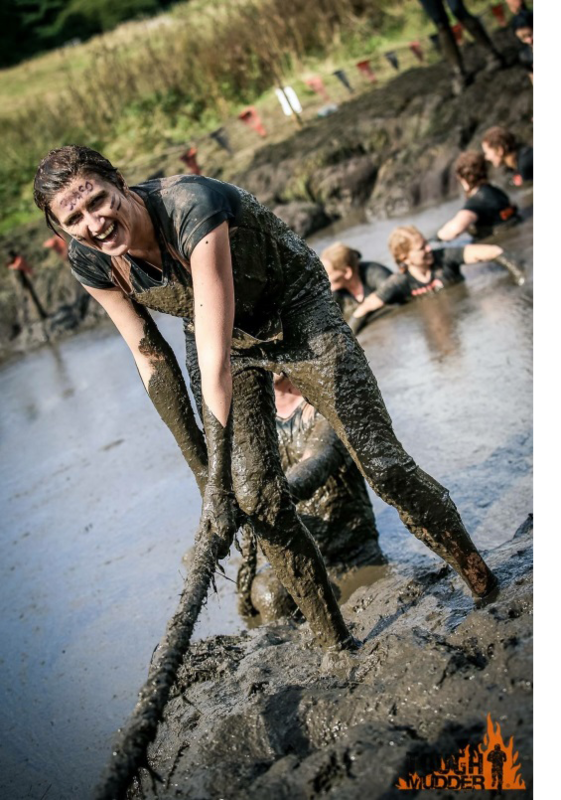 Tough Mudder is described as a team-oriented 10-12 mile (18-20 km) obstacle course designed to test physical strength and mental grit. It puts camaraderie over finisher rankings and is not a timed race but a team challenge that allows participants to experience exhilarating, yet safe, world-class obstacles they won’t find anywhere else. In reality it’s about 5 hours of synthesized torture, involving ice baths, tear gas, electrocution and ridiculous amounts of stinking mud. Sounds like fun? Maybe not but we entered willingly and had some vague sense of excited anticipation as we arrived at about 8:30 on a sunny morning. So I lined up on the start line with Kathryn, Ian and Kirsty. An hour later we were head to toe in mud, soaking wet and freezing after completing one of the most infamous obstacles; Arctic Enema 2.0. This involves a slide into a skip full of ice and then you have to go under the water to escape the skip. You’re only in there for about 20 seconds but it feels like minutes. It’s an incredible rush to make it out the other side! From then on there’s no let-up in the obstacles and the mud. Unfortunately after about 5 miles, Ian took some flying mud in the face and in a bit of a freak accident scratched his cornea. His eye was not looking good and after a stop at the medical tent, it was clear that he would be unable to continue. With a man down, the three of us continued. Kathryn and I spent far too long at the base of a human pyramid on the Pyramid Scheme obstacle, supporting the combined weight of at least three people and then Kirsty fell off the monkey bars into the water below and managed to hit her back on the platform she’d just jumped from. The cuts and bruises were accumulating but we were covered in too much mud to notice. The middle section of the course was through woodland and involved mile after mile of muddy rivers and footpaths. By now any hesitancy and fear had been left far behind and we concentrated on getting to the finish line unscathed and enjoying the remaining challenges. The finale of obstacles was tough after covering almost 11 miles. Cry Baby was a tunnel filled with tear gas that you crawl through with your face in the dirt. No chance of me joining in public disorder any time soon after that. A few more seconds in there and I don’t think I would have made it out the other side! Everest 2.0 involved running up a steep slope and hoping people at the top can grab you before you fall back down. That’s difficult for everybody, but Kathryn cracked it first time, even if she was dangling precariously before they managed to haul her to safety. 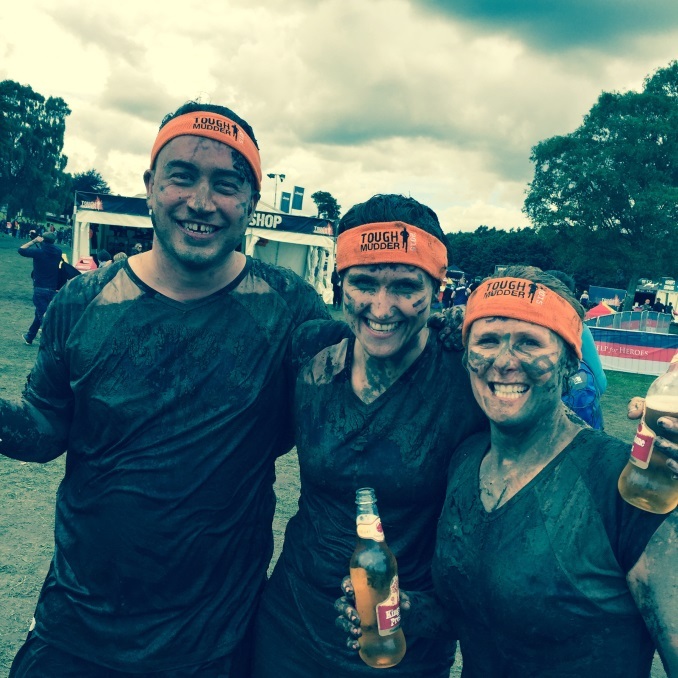 …..the smiles are because we looking forward to irritating everybody we meet for the next few weeks by telling them all about what we have just done…..
Then the finish line was just a matter of metres away, but between us and the orange headband was the final obstacle – Electroshock Therapy. Running through a large tunnel with orange string hanging from the roof – but as its name suggests, every few seconds the orange strings pulsed with a current of 10,000 volts! If you were in contact with one, there was an almighty electrical cracking sound, followed by a scream. I was shocked about 4 or 5 times and the sensation was horrific. All three of us got our head down and ran through as quickly as we could trying not to entertain the spectators with too many anguished cries. …and then finally after almost 5 hours and in a perpetual state of pain and exhaustion, we crossed the line to receive our headband and a well-earned beer.